Bigg Boss Tamil is the Tamil-language version of the reality TV programme Bigg Boss broadcast in India. It follows the Big Brother format, which was first developed by Endemol in the Netherlands. Here we got the Bigg Boss Tamil Contestants Names list. Meet the Housemates of Bigg Boss Tamil Show. Also have a Look at the Wiki Biography Profile of Bigg Boss Tamil 2017 Television Reality Show by Kamal Haasan. Bigg Boss Tamil is a reality show based on the Hindi show Bigg Boss which too was based on the original Dutch Big Brother format developed by John de Mol. A number of contestants (known as "housemates") live in a purpose-built house and are isolated from the rest of the world. Each week, housemates nominate two of their fellow housemates for eviction, and the housemates who receives the most nominations would face a public vote. The season will premiere on June 25 at 8 pm on Star Vijay with Kamal Haasan hosting the show. The show will have 15 celebrities, who will live in this house for 100 days, as participants. Have a Look at the Bigg Boss Tamil Contestants who entered to the Bigg Boss House. Young actor Shree of Mysskin's 'Onaayum Aattukkuttiyum' fame was the first to enter the Bigg Boss house. Fresh from the success of his latest film 'Maanagaram', the smart looking boy is expected to be a strong contestant and also ideal to win the hearts of the audience. The comedian who had worked with the likes of Rajinikanth, Kamal Haasan, Vijay and Ajith amongst others looked happy entering the Bigg Boss house. His son, who was present among the audience shared that his father had been away from home the most, while shooting for 'Mumbai Express' with Kamal Haasan himself. The 'SMS' actress made an entry with a dance performance on the show. Despite having acted in few Tamil films, this second contestant did not know the names of quite a few actors who later enterted into the house. Bharani of Naadodigal fame who has done a lot of supporting roles in films also made a mark on the small screen with a reality show on Vijay TV. He was involved in some fight with the other contestants in that show, which we could expect in Bigg Boss as well. An ideal contestant for the show's format. She is a model and contestant of Miss India and has also been crowned the Femina Miss South Beautiful Smile. The pretty and young Raiza is totally new to the Tamil audience and it would be interesting for them to see how she is in the house with the other well known celebritites. The popular tamil lyricist who has written more than 200+ songs in tamil movies is making his small screen debut with his show. Will he be able to win over the inmates and the audience with his talent as a lyricist or is there another side to him that will come out in the show? Actress Oviya of 'Kalavani' fame was the 8th contestant who had even worked with Kamal Haasan in 'Manmadan Ambu'. The pretty actress sizzled with a dance performance on the stage before having a fun chat with Kamal Haasan and entering the house. The popular female comedian revealed that she chose to be in the show only for her father who wanted see how she would fare living without him. She was her funny best on the stage saying that her husband would be happy that she is gone for a 100 days and also continued with her comic dialogues into the house. 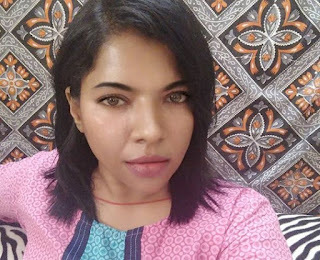 Choreographer and actor Gayathri Raghuram who has also turned into a director with 'Yaathumaagi Nindral', who stunned the audience doing split on Kamal Haasan's request was the 4th contestant who entered the house. The young and handsome looking model from Trichy is hoping to make a entry into the filmdom through this show. Despite having done more than 100+ ads and playing a small role on Vijay Anthony's 'Saithan', Aarar is looking to make a mark in the Bigg Boss house. Comedy actor Ganja Karuppu is another interesting candidate who would add nativity to the show. He was more than happy to be in the house without cell phones which he said are the one that create trouble. While he was happy to see lyricist Snehan in the house, he was also struck a chord with Oviya, who has worked with him in 'Kalavani'. The Jallikattu protests fame girl was a shocking and interesting inclusion among the other celebrities in the Bigg Boss house. Looks like there is some to take a strong stand on issues and be vocal about it. She was also smart enough to start addressing the men in the house as brothers to avoid any contorversy and calling the ladies as sisters to create a bond. Namitha turned out to be surprise entry as the 15th contestant. It looked like even Kamal Haasan wasn’t aware of her entry. The actress, who recently has taken to spirituality, said that the reason she chose to be on the show was to show change the image of hers among public. For Ganesh Venkatram, who shared screen space with Kamal Haasan in Unnaipol Oruvan, it was nostalgia. Kamal said though they have no combination scenes together in the film, he had watched the scenes that involved Ganesh. Ganesh was accompanied by his wife Nisha, who apparently, had been crying for a week. This is the first time that the duo were about to stay apart from each other after one and a half years of marriage. Shakthi surprised the audience when he said that his real name was Prashanth Vasu and that he changed his name to Sakthivel before he made his entry into films. And guess where did he draw inspiration for his name? From none other than Kamal, who played Sakthivel in Devar Magan. “I am a Kamal Veriyan,” said the Sivalinga actor. He added that Kamal Haasan had held his son when he was just 28 days old and that it was sheer bliss. Bindu Madhavi is an Indian Model and actress who featured in South Indian movies. She made her debut in Telugu industry and featured in many Tamil movies. She is one of the contestant of Bigg Boss Tamil show, which is host by Kamal Haasan. Bigg Boss Tamil Looks Exciting and quite different. These Celebrities Contestants going to have tough time in Kamal Haasan's Bigg Boss Tamil Hose. They have to Face the Camera everywhere. Big Boss is Watching everyone through Camera. Only the Bathroom can give them rest. Get ready Guys there are going to have lots of Fights, Tasks and Conversation in the Bigg Boss Tamil Reality Show. Who is your Favorite Television Actor or Celebrity on Bigg Boss Tamil Version Reality Show on Vijay Television Channel. Airing From 25th June 2017, Don't Miss Bigg Boss Tamil 8:30 PM on Sunday. Please said gayathri raghuram to behave good always her words using is irritating it's not fine to her i hate her for behavior of talking. Bigg boss pls tell her it's my request to u. Exactly bro.... Only on screens they are good.. in reality they show their true colour..... very dominating and problem creators. Entertainment is really good but entertainment is not life. Kindly under stand all of them. Please think who is the Big Boss and what purpose is telecasting this program. If you give a chance to participate in this show, then definitely I will be the title winner of this show. Hope this will become true. Big Boss Tamil is a good show but there are few people (celebrities) behaving manner less. 1. Gayathri - Unfit to be a Captian. Definitely she need to ask apologies for using cheap words like "eechai" and " veechu senjirunum" & threatening Juliana about the her name to be eviction list. 2. Harathi - You are not a celebrity, but a chameleon. You are a person who doesn't know to ask sorry for harsh words which you speak about Juliana. Very adamant and head-weighted person. 3. Snehan: You are a fake & masked person.You wear multiple masks to every contestant. 5. Juliana: Talk less and try to be a normal person, dont try to project yourself too much by action/show off by words or action. 6: Bharani: Straight forward but couldn't gel with other house mates and are stressed toomuch. 7: Vaiyapuri: Not much to say. 8. Shakthi: Not much to say. .It is the good going for this show. bigg boss are u see all activities .how to see this type of activities. all guys are celebrity or sadist. Just send out Gayathri and Arthi. How dare that two ladies accuse a poor girl Juili. Barani is very poor boy. I didn't expect from Snekan. He has revealed his original face. Gayathri, Harathi ganesh (after ganja karuppu ousted, now she is acting as if she is good and seeking attention from the public for getting votes in favor of her), and snehan, ought to be removed at any cost. please big boss do it. don't give single vote for Aarthi. Julie & oviya will get maximum votes. than try to put some votes for vaiyapuri if he gets less votes than Aarthi means aarthi will enter bigg boss again... we can eliminate vaiyapuri at anytime but Aarthi will do tricks to not come at elimination.. this is our only chance to use... keep that in mind..
Gayathri next target Oviya... she started to irritate oviya.. she voluntarily talking to other team mates about oviya & creating bad impression about oviya to others.. for eg : if oviya tells 1 word to gayathri means gayathri exaggerating it like 1 lakh words to all house mates..
Gayathri confesses that she don't like lies from others if anybody tells any lie to her that she will get short temper like that in front of bigg boss, other house mates & audience.. But Note: she asked bigg boss that she need chocolate powder from bigg boss, & bigg boss replied that her health condition is normal as per doctors report.. anyway bigg boss offered chocolate powder because of her adamant behaviour... when she came out of confession room she informed all room mates that she has low calcium level & doctor prescribed her to take chocolate powder... dear arrogant gayathri u don't feel guilty about this lie..?? Now Aarthi is started to show her talent in acting/attention seeking for audience because of her elimination this week.. acting alone in front of camera that she is the only person of daughter in law for 10 other contestants are mother in law... she don't know that she is the no:1 mother in law for whole Indian people. I don't know how Aarthi husband Ganesh is handling her in his daily life.. Gayathri, Aarthi, Snehan, Shakthi, & shameless drama queen Julie these people forgot about camera & audience. they are making non sense things... Note: Julie is not innocent she can do anything to become star.. if she can able to back stab a person like Bharani means think what she can do...?? If u interested give me chance sir because my parents interested I'm a useless human being.......nowords to express my gift of my feeling with paining..